E-Flite has a solid reputation for being on the leading edge of electric powered flight technology. E-flite has a wide selection of electric RC airplanes and helicopters. 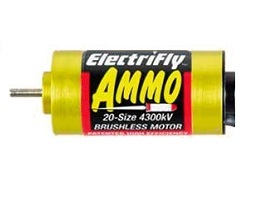 They also supply every type of electric component imaginable related to electric flight, including a very wide selection of top-of-the-line brushless motors. How would you like to never spend another dime on glow plugs or glow fuel? Are you tired of the gooey mess and frustrations of an uncooperative engine? How would you like to free yourself from the hassles of a glow engine while maintaining the same power? 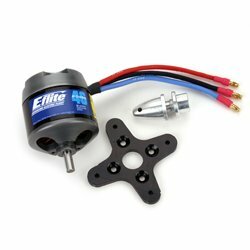 It takes no time at all to convert your nitro powered RC airplane to electric power with one of E-Flite Power Series Brushless Outrunner Motors. The size designation is equivalent to a glow engine with similar power. 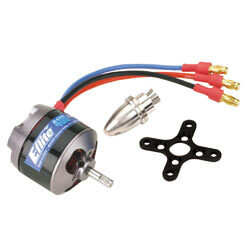 For example, a E-Flite Power 46 BL Outrunner MTR 670KV would replace a 40 – 46 size two stroke glow engine. 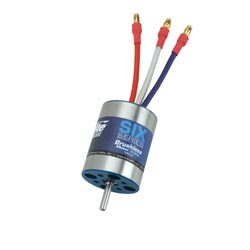 So even if you're not familiar with brushless motors, it’s almost impossible to choose the wrong size! Since these are outrunners, there is no need for a gearbox. Just bolt it to the plane and you’re ready to go. It really doesn't get any easier than that! 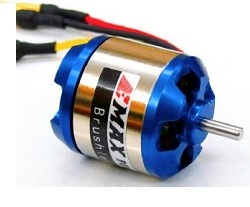 Are you looking for an affordable yet powerful motor for that new aerobatic parkflyer? Do you have a parkflyer hanging in the garage that you never fly anymore? Breath new life into it by replacing that brushed motor with a drop in Park Series Inrunner. 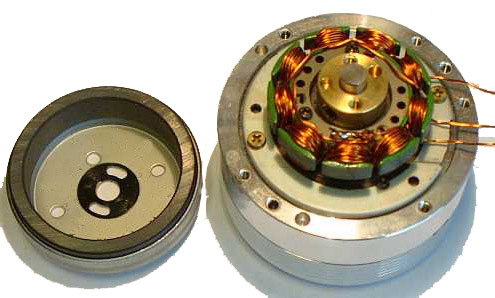 These Park Series Innrunner motors come with a pinion, prop adapter, gold-plated connectors in addition to an adapter plate for mounting either a GWS or E-flite gearbox. 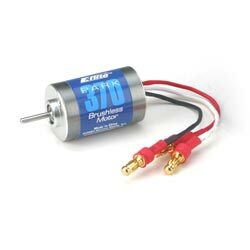 The 370 size is perfect for replacing those 280 and 370 size brushed motors. Choose between a 4100Kv, 5400Kv, 3600Kv to fit your precise speed and torque requirements. Explanation of Kv rating. For an incredible boost of power, you can easily replace your existing 400 sized brushed motor with a Park 400 brushless motor! You have your choice of a 4200Kv or 3700Kv to fit your speed and torque requirements. If you want a power yet silent motor without having to use a gearbox, Park Series Brushless Outrunner Motors are perfect for small 3D, aerobatic, sport or scale planes! Park Series Outrunners are available from 180 through 480 size with multiple Kv ratings to choose from to meet your torque and speed requirements. E-Flites Six Series are constructed from a special slotted 6-pole design. 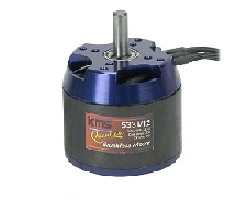 These are high torque brushless motors unique in the fact that they are designed for either direct drive or gearbox applications. If you have a Speed 400 or 480 brushed motor that you are looking to upgrade, this is the perfect match. The bolt holes with match perfectly! Share YOUR experience or questions with E-Flight Brushless Motors via the comment section below.